South Korea’s default risk fell to its lowest level in more than 11 years amid growing preference for safe assets and easing geopolitical tension in the Korean peninsula ahead of the proposed meeting between the leaders of the United States and North Korea. 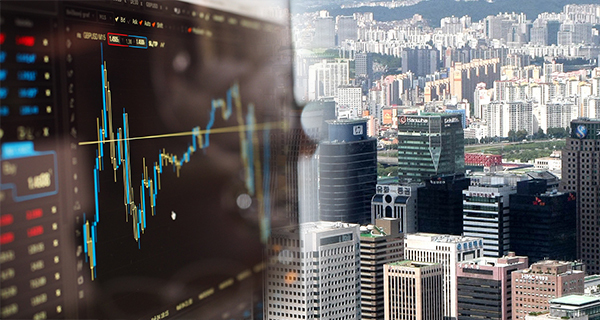 According to the Korea Center for International Finance (KCIF) on Saturday, the premium credit default swap (CDS) for Korea’s benchmark five-year foreign exchange stabilization bonds averaged 32 basis points as of Friday. The insurance premium against sovereign debt is down 9 basis points from this year’s highest of 41 basis points on Jan. 3. This was also the lowest since 32 basis points on November 6, 2007. The KCIF said Korea’s CDS premium for foreign exchange stabilization bonds hit a record low level considering that default risk of most countries before the global financial crisis was undervalued. A narrower spread in the insurance against default implies improved credit of government bonds, allowing the Korean government and companies to issue bonds cheaper and easier. A basis point is 0.01 percentage point. The latest data showed that Korea’s CDS premium fell by the largest margin when compared to early last year, followed by the margins of Portugal, Japan, and Thailand. The CDS premium for major countries including Germany, the United Kingdom, France, Turkey, and Italy, on the other hand, increased, implying deterioration in the credit of government bonds. From a year ago when the premium hit 59 basis points amid jitters in the global financial market, it has nearly halved. The insurance premium against Korean sovereign debt shot up to 76 basis points on September 2017 when geopolitical risk heightened in the Korean peninsula. The CDS premium for Korean bonds reached 699 basis points in October 2008 in the aftermath of the global financial crisis but has remained below 100 basis points since September 2012. The premium for Korean bonds is currently higher than that of Japan at 20 basis points but lower than the U.K. and France at each 36 basis points and China at 54 basis points.